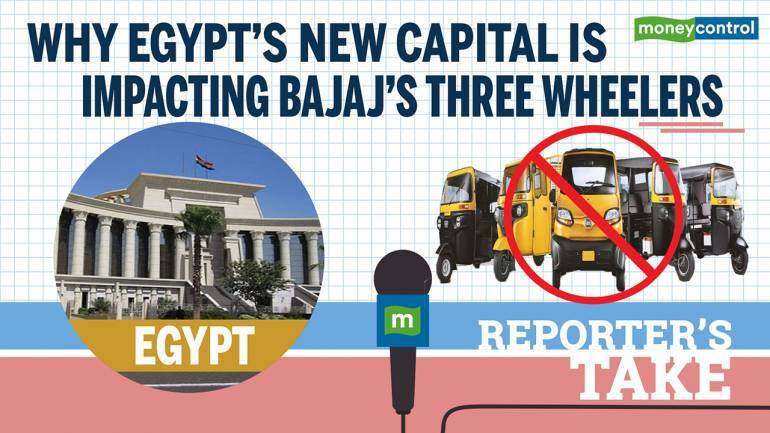 Uttaresh Venkateshwaran gets in conversation with Moneycontrol's auto expert Swaraj Baggonkar to understand what is happening in Cairo and how the company is trying to tackle the issue. Nearly a fourth of Bajaj Auto’s three-wheeler overseas shipments head to Egypt, making it the second largest market in the world for the Pune-based company after Sri Lanka. Recently Egypt Prime Minister Mostafa Madbouli called for a restriction on free imports of three-wheelers (locally called toktoks) into the country in a push to make its youth take up ‘serious jobs that can help develop and build the country’.